Home Farm Diversification Grapes Maryland Governor's Cup Maryland Grape Growers Association Maryland Wine Vineyards Viticulture Wine winegrapes Chardonnay is a grape! Those of you who know me or have followed my blog or tweets, you know that my main focus on our family farm is grape production. 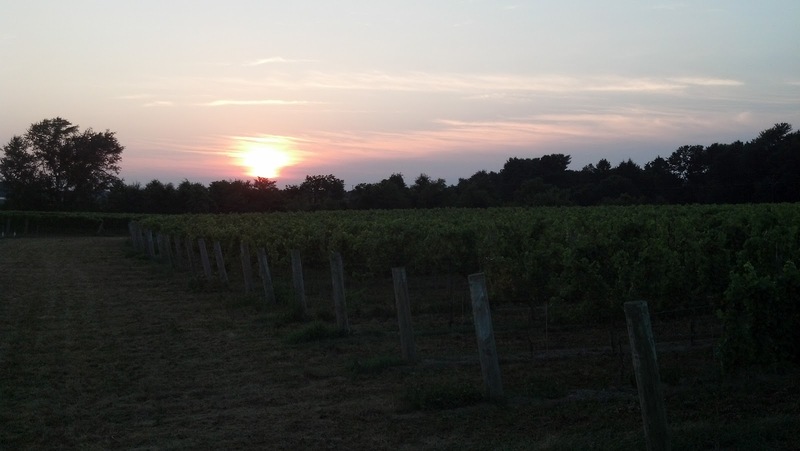 We have 22 acres of winegrapes on our farm which is currently the largest wholesale vineyard in Maryland. I say wholesale because there are vineyards associated with wineries that are larger than ours. When I say we have a vineyard, folks assume that we are also a winery. We're not. You wouldn't want to drink anything I have previously attempted to ferment. I've given up trying to gain the winemaking skill set and focused on developing my skills as a high quality grape producer. 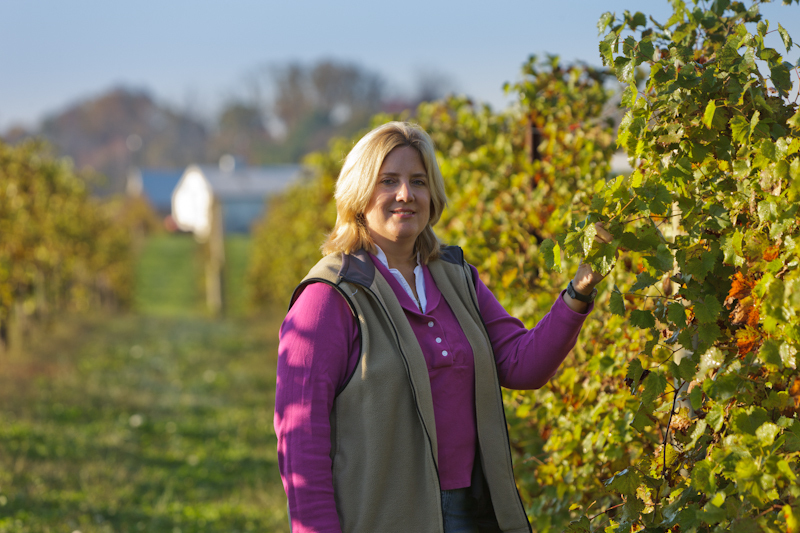 In addition to growing grapes on our farm, I also provide custom vineyard management services and consulting to other vineyard owners in our region. There is quite a bit of interest in growing grapes. Folks seem to think its "romantic". Personally, I've found nothing all that romantic about working in 100 degree heat in July or lifting 30 pound lug after lug of grapes onto a trailer to haul to a winery, but to each his own. Folks love the aesthetics of a well managed vineyard and enjoy consuming the product that comes from it. As romantic as it may seem to walk through a vineyard with a glass of wine, its takes a huge amount of work, mostly hand labor, to manage a vineyard. As a kid, my first job was working shade tobacco in Western Massachusetts where I grew up. It was a very labor intensive job. Grapes are even moreso. Keep that in mind if you're considering a vineyard on your property. ﻿﻿Everything we have planted in our vineyard was at the request of one or more wineries in Maryland. When we first started growing grapes 10 years ago, there were only 12 wineries in the entire state. I called every one of them and asked what grapes they were in need of and kept a tally sheet to see which varieties had more interest. Today there are 55 wineries in Maryland and each variety we grow was planted at the request of at least one of them. For red grapes (actually they are purple, but they make red wine so we call them red grapes), we grow: Sangiovese, Barbera, Pinotage, and Chambourcin. In addition, we manage customer vineyards who grow: Merlot, Cabernet Franc, Cabernet Sauvignon, Petit Verdot, Shiraz, Malbec, and Landot Noir. Sangiovese, an Italian red grape. For white grapes we grow: Chardonnay, Pinot Gris (is actually a purple-ish skinned grape but makes white wine, Pinot Gris is the grape, Pinot Grigio is one of the style wines). Traminette (hybrid of the grape Gewurztraminer), and Vidal Blanc. We also manage vineyards that grow Sauvignon Blanc and Petit Manseng. These are all grape varieties thus the name of the wine if they are bottled as a varietal wine. There are still hundreds of others grape varieties. 10 Tons of Vidal Blanc, hand-harvested and loaded for delivery. We take great pride in high quality winegrape production. They say that wine is made in the vineyard, which is true. Poor quality grapes do not make great wines. 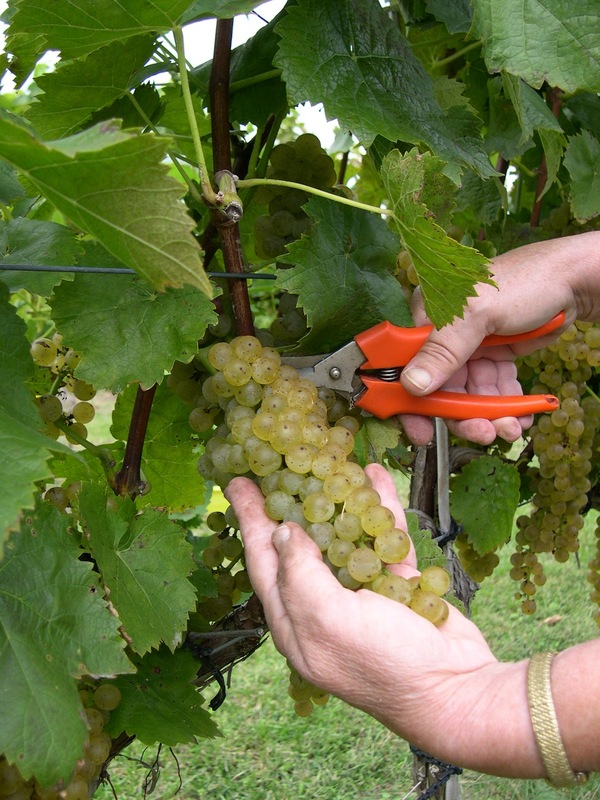 Our grapes have netted wineries awards locally and regionally. This year, our grapes are represented in 9 awards given at the 2012 Maryland Governor's Cup including a Best in Class, as well as gold, silver and bronze medals for several of the wineries. The wineries include: Frederick Cellars, Boordy Vineyards, Cassinelli Winery, Layton's Chance Winery, St. Michael's Winery, and Woodhall Wine Cellars. So far the 2012 season is one of our best grape-growing years. The drought which negatively impacted the corn and beans for the second year in a row, is beneficial for the grapes. (Thus it pays to be diversified) Unlike last year however, when we had 45 inches over an 8 week period during grape harvest, this year the rains hasn't come in amounts that cause the grapes to rot and fall apart. 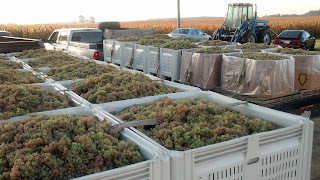 We have hand-harvested 71 tons of grapes in the last 3 weeks. My picking crew is dedicated and hard-working. Without them, we'd never get all the fruit picked. We have about 50 more tons to go over the next couple of weeks. The fruit is in beautiful condition, super sweet with these warm days and cool nights. 2012 should be a fabulous vintage!